WASHINGTON — Democrat Elizabeth Warren has met with Native American women, calling for "action" on issues important to their community such as the rising problem of missing and murdered indigenous women. 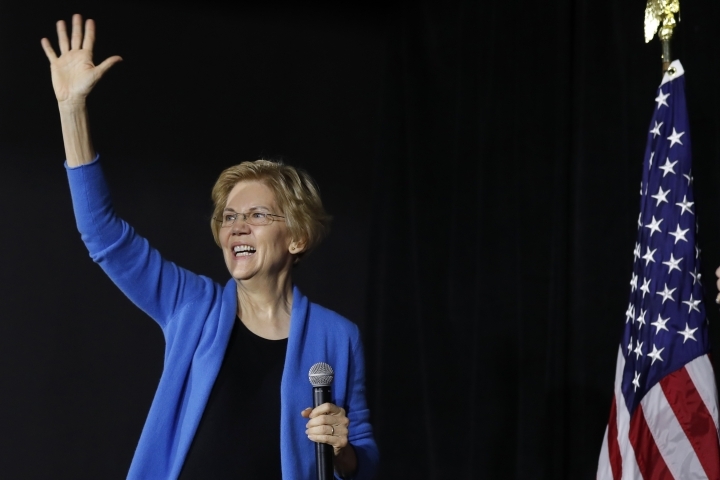 Warren's meeting on Tuesday comes amid lingering tensions over her past claims to Native American identity as she seeks the Democratic presidential nomination. President Donald Trump continues to hit Warren on the issue, mocking her with a racial slur and recently tweeting about "the TRAIL" in what some viewed as a reference to Native American genocide. Warren was introduced Tuesday by New Mexico Democratic Rep. Deb Haaland, one of two Native Americans serving in Congress, who called the Massachusetts senator "a great friend to Indian Country." Haaland and Warren said they're working together on new legislation addressing Native American issues.